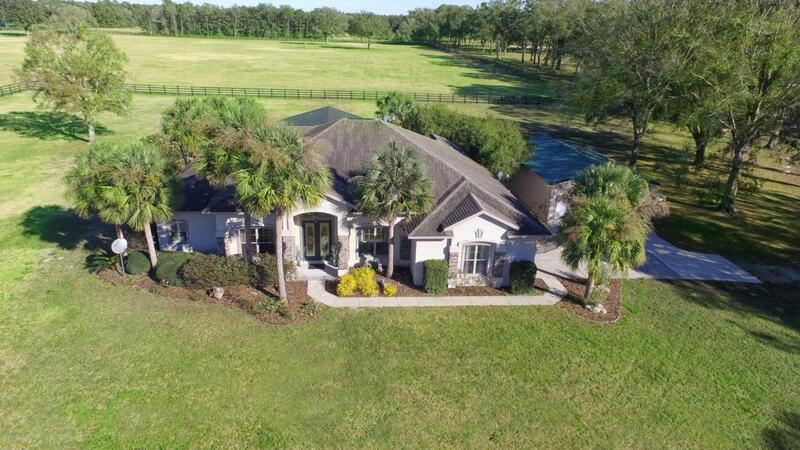 Within Marion County's well-established Horse Country, this picturesque 18+ acre farm offers numerous amenities and a premier location. 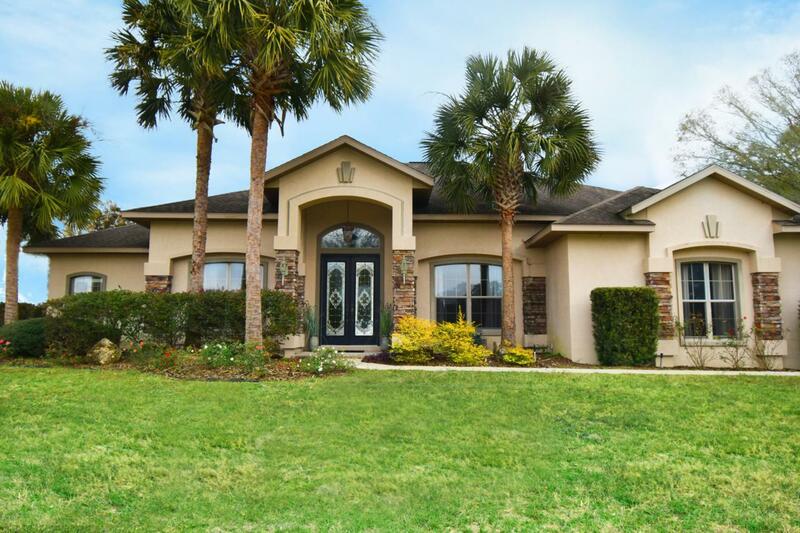 Fully gated, Timber Ridge's spacious 3-bedroom, 2-bath residence offers privacy and peace. The interiors showcase tray ceilings, new bamboo flooring in the main areas, and modern light and fan fixtures throughout. The master suite includes access to the screened-enclosed patio with sparkling pool, as well as its own en-suite bathroom with garden tub and his and her vanities. Timber Lane offers a 4-stall barn with tack and feed room, 3 vibrant, oak-studded pastures, and a perfect flat area to ride or drive. 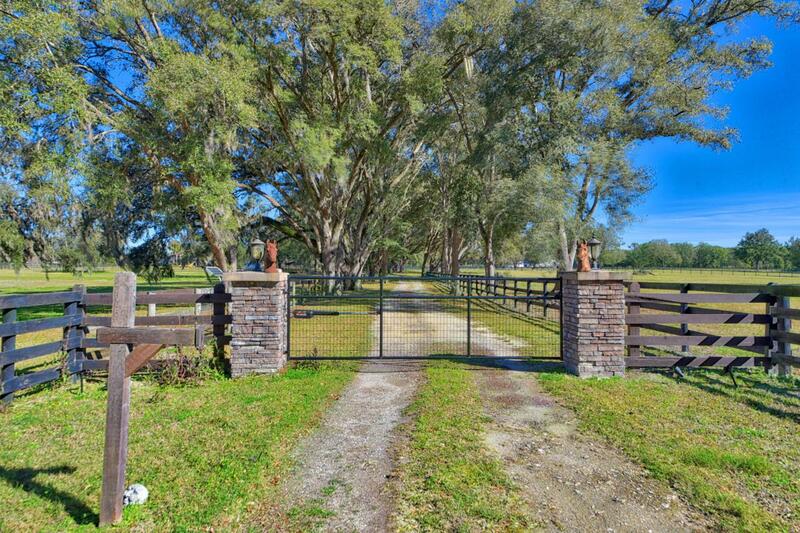 Convenient to HITS and WEC, this farm is the perfect location for an active equestrian lifestyle. 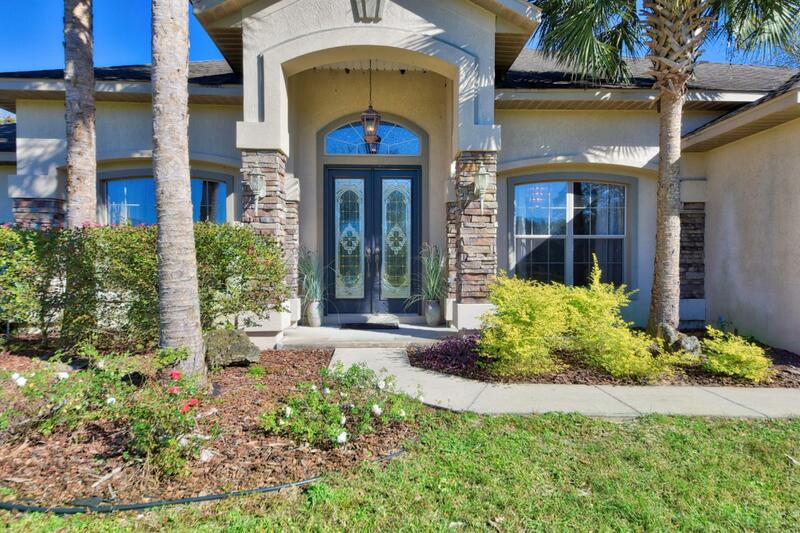 Listing provided courtesy of Carol Krokel of Showcase Properties Of Central Fl.